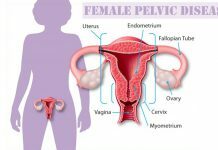 Pelvic inflammation (PID) refers to the inflammation of female pelvic genital organs, uterine surrounding’s connective tissue and pelvic peritoneal inflammation. 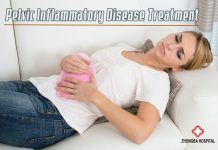 Chronic pelvic inflammatory disease (PID) is often severe. Its treatment is not completely extends from the onset of a long time, the condition is more stubborn. Bacteria retrograde infection through the uterus, Fallopian tubes and reach the pelvic cavity. But in real life, not all women will suffer from pelvic inflammatory disease (PID). The incidence is only a few. This is because the female reproductive system has a natural defense function. Under normal circumstances it can resist the invasion of bacteria. Only when the body's resistance is decreased or because of other reasons women's natural defense function is destroyed, it will lead to pelvic inflammation. The symptoms are lower abdominal pain, fever, increase vaginal secretions. If the condition is severe then person may also face conditions like chills, high fever, headache, loss of appetite. Female may also faces increased menstrual or menstrual extension. Acute pelvic inflammatory disease can cause further development of diffuse peritonitis, sepsis and septic shock. Severe cases can be life-threatening. Chronic PID is caused due to un-complete or poor treatment of acute pelvic inflammatory disease. The courses of persistent disease caused by chronic pelvic inflammatory symptoms are lower abdominal bulge, pain and lumbosacral pain. It follows by menstrual abnormalities and irregular menstruation. If it lasts for a long period of time then women may faces lack of energy. Whole body comes in states discomfort and insomnia. Often prolonged unhealed leading is to infertility and tubal pregnancy. It very seriously affects the women’s health. If you find these kinds of symptoms in you then I suggest you visit ZhongBa Hospital in Lahore. We provide PID treatment in our hospital. We have Chinese female gynecologist in our hospital to treat these kinds of issues. You can call us or you can live chat with us in order to book your appointment.